We're excited to announce the talent lineup joining us in Manchester for the CS:GO #ESLPrem Spring Season Finals on Sunday! 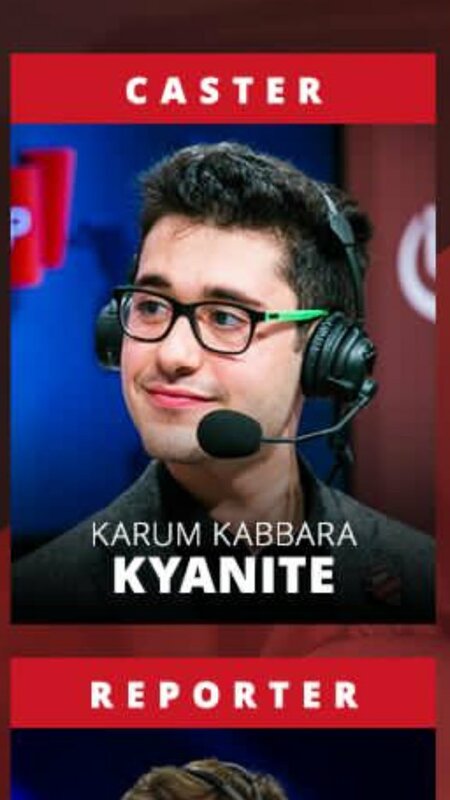 Ignoring the false start from ESL UK earlier, where they missed out Alex “Snodz” Byfield and misspelled Karam “KYAN1TE” Kabbara’s first name, the full talent roster is revealed as above. The stage host at the finals will be Caroline Oakes, formerly of ESL UK and now video presenter for PCGamesN, with her desk equivalent being Harry “Lethal” Thomas. Lethal is a former professional Halo player and currently acts in a full-time capacity for ESL in hosting and commentating roles. Lethal and Oakes hold the same roles for the Rainbow Six: Siege Finals, which are being held the day before. In the reporting role, Derry “Dezachu” Holt, more well-known for Overwatch, League of Legends and Rainbow Six: Siege commentary, makes an appearance. In the commentary team, the well-known UK duo of Jack “Jacky” Peters and Alex “Snodz” Byfield head to the finals having been ever present during the online stage. Also present is former professional player and statistical genius Ben “Esio” Doughty, with Karam “KYAN1TE” Kabbara returning to the commentary desk for the first time since the Gfinity Elite Series Season 2. Jacky will also be in attendance at the Rainbow Six: Siege Finals on the Saturday, taking up the reporter role Dezachu is holding at the CS:GO Finals. UK players Jake “Jak3y” Elton, previously a coach for Endpoint among other teams, and Chris “Perky” Perkins will be acting as observers for the event. The ESL Premiership Finals will feature four teams all vying for the £5,500 top prize. ReflexEU and Revelation Gaming were the first two teams to qualify for the finals, by virtue of finishing top of their respective groups. They have been joined by Fierce Esports and The Pensioners, with both teams beating their opponents, London and LFAUG respectively, 2-0 in the online playoffs. The Finals will feature a similar format to the online playoffs, that being a single-elimination knockout bracket with all matches being best-of-threes. The first match will be at 12 PM on Sunday, seeing ReflexEU take on The Pensioners before Fierce will face Revelation Gaming at the scheduled time of 3:45 PM. The final will complete the event, which is currently scheduled to be at 7:20 PM. All games will be streamed on both the main ESL Twitch channel and Prem Mixer channel. It is currently unclear how many, if any, teams from the ESL Premiership will see qualification to the ESEA MDL Relegation tournament or Climber Cup qualifier. The schedule and format of the ESL Premiership relegation tournament is still to be announced.